Julphar, one of the largest pharmaceutical manufacturers in the Middle East and Africa, has announced its entry into the oncology market through a licence and supply agreement with Russia’s leading biotechnology company, Biocad. Julphar will be partnering with Biocad and Health Authorities to register three leading specialised products to the UAE, which are used to treat breast cancer, B-cell non-Hodgkin's lymphoma, chronic lymphocytic leukemia, colon cancer, lung cancer and glioblastoma, said a statement from the company. “It will enable our company to continue focusing on delivering healthcare solutions that make a real difference to people’s lives,” he added. Cancer is one of the biggest health burdens in the UAE. According to a report issued last month by the World Health Organization’s (WHO) International Agency for Research on Cancer (IARC), breast cancer accounted for more than 20 per cent of the total 4,707 new cancer cases that were found in the UAE in 2018. “With the launch of these products in the local market, we would like to ensure that as many people as possible have access to life-saving medicines. When patients choose Julphar they can rest assured that they are consistently receiving high quality, safe and effective products,” he added. “Moreover, medicines produced by us are competitive in their effectiveness as well as the price. 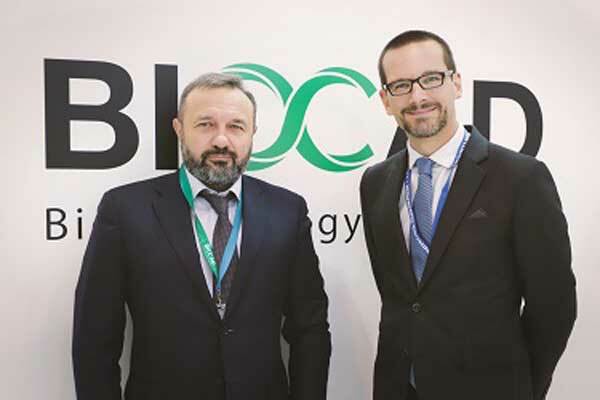 Therefore, the presence of Russian innovative drugs in the UAE will help make important biological therapies widely accessible to patients,” he added.